New York, NY. The gritty 1970’s. Chain snatchers and junkies…every park a needle park…subways blind with graffiti. Garbage blew from sidewalk to sidewalk and the smell of bread still rose from the Silvercup factory. Artists and students squatted in ruined neighborhoods, homesteading Soho and the East Village; nobody lived in Brooklyn unless they’d been born there. But if you caught “red velvet curtain disease,” you hardly noticed. Because there was another world, on stage and off. Whether you yearned to make the magic or simply wanted to be close to it, you believed that anything was possible: which it was, even if only for a moment and not exactly as you’d imagined it would be. Soon to be available from your own favorite Independent Bookstore! 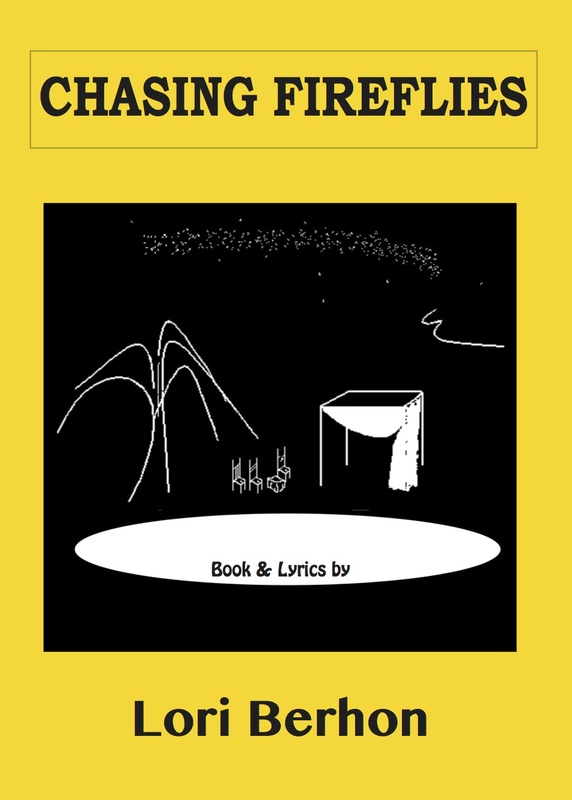 Experience the musical Lake Song along with the characters in Chasing Fireflies. See a few pages from the Lake Song Playbill of the original Broadway production (these pages are included in Chasing Fireflies as an Appendix). 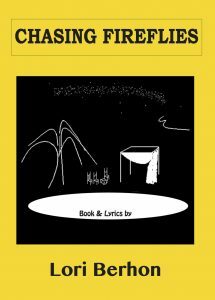 Each chapter of Chasing Fireflies is preceded by lyrics to one of the songs from the show. You can view the entire Lake Song Songbook here. If you’re reading Chasing Fireflies, there’s a good chance that you too might have a mild case of red velvet curtain disease! I’ve put together a set of “study guides” especially for you, to share some other stories that you might enjoy. Here are some other novels about actors or theatre, including a few that played an important part in my formative years. There are also quite a few musicals about actors or show business. Kind of irresistible, since it gives the characters an excellent excuse for being able to sing and dance incredibly well! Finally, here are some of the many movies about actors or show business. Some of these are based on novels or plays, but the movie version is the one that mattered most to me. Note: “Study Guides” slideshows have been uploaded to YouTube as videos. You’ll want to use the pause feature to read at your own pace and/or check out embedded links. copyright 2012-13 Lori Berhon. all rights reserved. Light Up the Cave | Powered by Mantra & WordPress.